When Esoterica had a physical location, we were honored to feature readings by a variety of psychics. Available services included Tarot, Playing Card Readings, Handwriting Analysis, Animal Communication, Reiki, Rune Readings, Mediumship and more. We still support our Psychics. You can find many of them online or at other locations. Scroll down for a complete list of psychics and their specialities. Ron Shank, due to his being born before the rest of us, has had time to immerse himself in a wide range of interests, from hypnosis to tea leaf readings. He is a palm reader, handwriting analyst, meditation instructor and occasional cartomancer. He writes training courses for graphologists, monographs on meditation, palm reading and divination with candle wax drippings. He owns a genuine sideshow weird exhibit and says most of his spare time is spent at the computer keyboard. 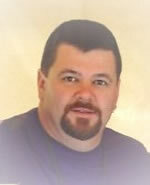 Larry Baukin has been a teacher and professional practitioner of Tarot, Palmistry and Numerology for over twenty years. He has published articles on story-telling with Tarot cards in such diverse periodicals as The New Invocation, Magick, and Celebrating the Tarot. 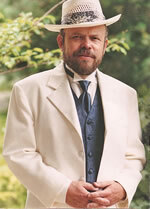 He is also the author of over two dozen short stories published in a variety of Science Fiction and Fantasy magazines. 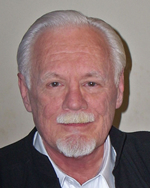 Since the 1980's and beyond, he has been a contributing member of The Psychic Entertainers Association, The American Tarot Association and the Washington DC Tarot Society. Over the years he has been frequently seen entertaining at many top corporate events in the Washington metro area and elsewhere. He resides in Fairfax, Virginia. 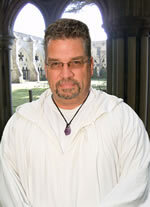 Larry is currently doing readings at The Owl Nest in Frederick, MD. Rev. Tom Vandeberg is a gifted psychic, magician and spiritual counselor with more than twenty years experience in the field of metaphysics and magic. 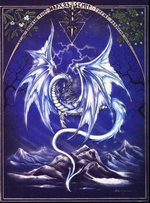 Tom uses the Tarot, and sometimes the Anglo-Saxon runes, as tools to tap into his psychic abilities to help others find direction and purpose in their lives, to help them overcome obstacles and to help them reach their full spiritual potential. For Readings and Hypnosis sessions, email Tom at rev.midnight@yahoo.com. Anne, a Reiki/Karuna Ki Master Teacher, has been practicing Reiki since 1998. 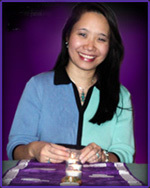 She is an Ordained Minister and also a Master Teacher in Magnified Healing, another alternative form of healing energy. Anne is an intuitive and natural healer. She also offers classes in Usui Reiki, Karuna Ki, Lightarian Reiki, Ma'heo'o Reiki and Quantum Touch healing. To schedule a session with Anne, contact her at atouchoflight@hotmail.com. Esmeralda is an ordained interfaith minister, spiritual counselor, life coach and legacy psychic with gifts of prophesy, clairaudience, clairvoyance, clairsentience and more. Her growing national clientele attests to the impact she has with people of many backgrounds and walks of life. Whether clients book a psychic reading or a spiritual counseling/coaching session with her, they experience a true oracle with the ability to channel other-worldly messages in whatever form they come. Esmeralda may use tarot cards, pendulums, automatic writing, palm reading, numerology or no tools at all. She's built a solid reputation not only for accuracy, but for integrity. Many of her clients have been with her throughout her nine years in the professional psychic arena. Sherry Sherry is one of the top professional Psychics in the country using her skills as a Psychic Reader, Clairvoyant, Medium, Channeler, (both Trance Channel and Conscious Channel), Minister and Spiritual Counselor to help clients from around the world. Born with the gifts of Clairaudience, Clairvoyance, and Clairsentience, she is truly one of the most amazing and gifted psychics living today. 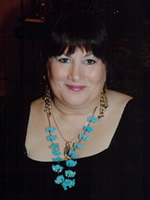 With over 28 years of experience giving Psychic Readings to clients from around the world, she has truly devoted her life to following the path that given to her by helping us with her unique gifts. Our "Rune Goddess" and the author of The Runes Revealed: A Beginner's Guide to Runic Divination, is a well-known and popular interpreter of the runes and the Russian Gypsy cards. A lecturer for the Psychic Entertainer's Association in 2003 and rune reader for WQRX (Mix 107.3) New Year's Eve galas from 1999-2006, Beth is a sought-after addition to many corporate and private functions in the Washington - Baltimore area. Runes have long held a special fascination for Beth, who has studied the ancient symbols extensively since her first introduction to them in the 1970's with J.R.R. Tolkien's trilogy. Her workshops and classes are always well-attended by those who want clearly presented, useful information and well-defined techniques. 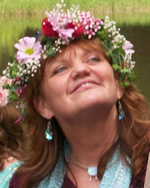 Beth's rune and Gypsy Card readings are wisdom-filled, fascinating and entertaining while they bring clarity, direction and fresh and unique insight into each client's particular situation. To make an appointment, contact Beth at runegoddess@gmail.com. Join our mailing list and stay up-to-date on all our sales, new items and promotions! We won't give your email address out to anyone else and we won't clutter your inbox with tons of mailings! Copyright (c) 2009 Diamond Spider Inc. All rights reserved.